The roof on the 7th floor terrace of the main branch of the Denver Public Library was leaking. 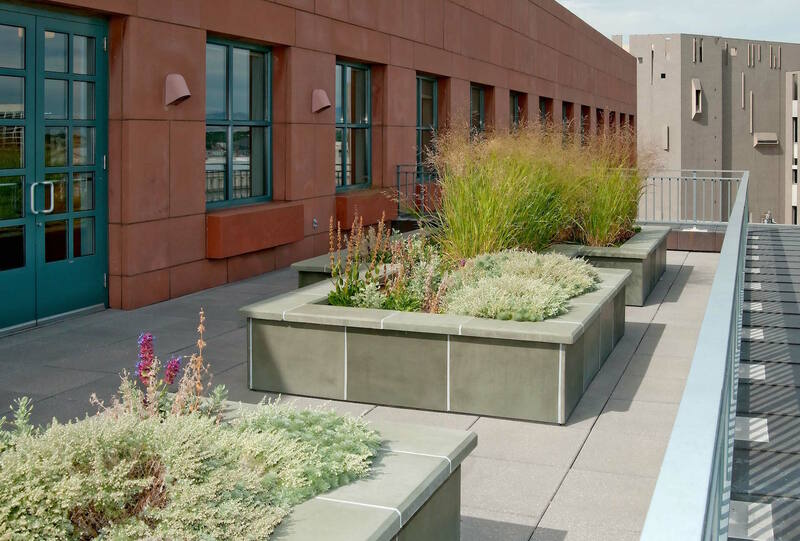 In the process of developing a strategy for replacing the waterproofing system, the client decided to explore a green roof component. The loading restraints allowed an 8” growing media depth for the green roof. 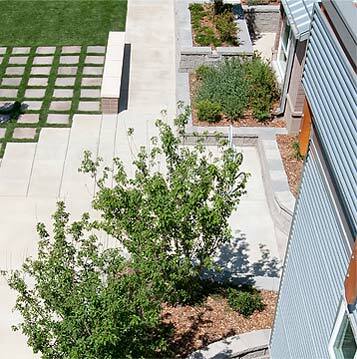 The plant palette focuses on native and xeric plant materials making this not only a beautiful space, but also serving as a showcase for regionally appropriate materials used in a sustainable fashion. Lime Green Design was asked to help design an interpretive board that describes the project and its environmental benefits. 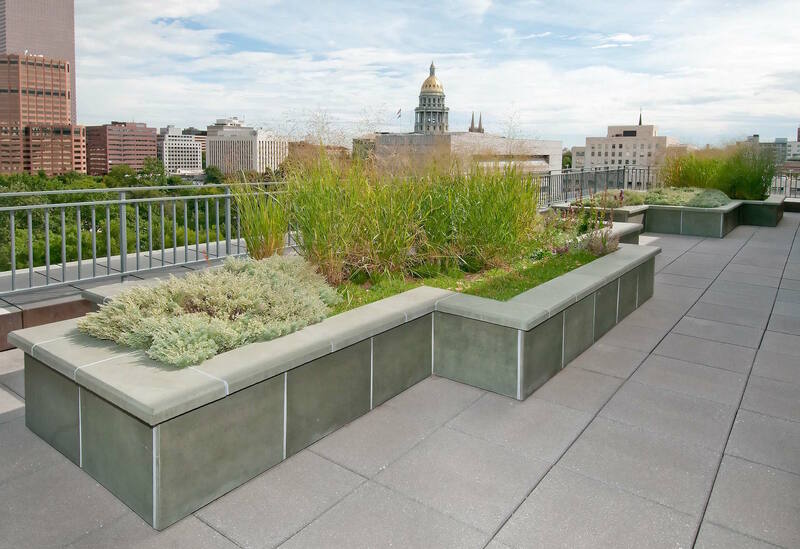 The green roof reduces the heat island effect, improves insulation of the space below, reduces stormwater run-off quantity and quality, and helps to protect the waterproofing system beneath it. 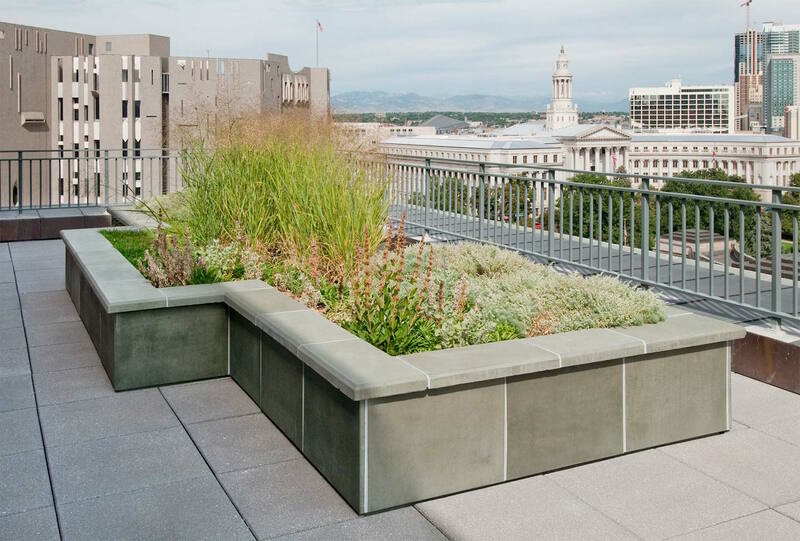 This project will operate as a pilot project for other Denver Public Library green roof projects, and fits into the Citywide Greenprint Denver Sustainable Initiative and the mayor’s Climate Action Plan.